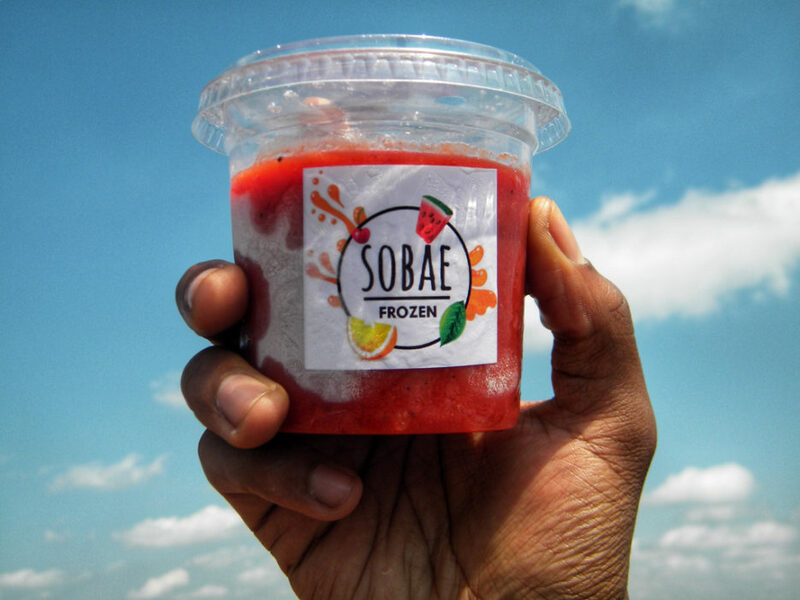 Thula Ndema and Thato Masondo are the creators of SOBAE – the latest delight in Johannesburg’s frozen treats made from 100% fruit, water, ice and a handpicked selection of herbs and spices. What began as a routine visit to the local farmer’s market sparked the idea to use overly ripe fruit sold at almost throwaway prices to produce a refined fruit dessert. “We would cycle around the city and would pass farmer’s market. We noticed how cheap the fruits were – especially the overripe fruit, which were being sold at prices like three rand. We realized that we could make a product while still keeping our costs very low.” – Thato. The duo initially met working for a major retailer. However, It wasn’t until they were working together again at an ice cream shop that the idea to start something of their own brewed. Customers would walk in and ask for sorbet but the shop didn’t make it. We did our research and found that the only ingredients we needed to make sorbet are water and fruit. We thought, we have to do this! – Thula. What supported their argument towards starting something, was the added advantage of reduced costs: “because we use ripe fruit to make our sorbet, we don’t have to add sugar as the ripest fruits are the sweetest. It is from this that the slogan was formed: ‘we have the freedom to ripe the fruits of the earth.’” -Thato. A month after they quit their jobs at the ice cream parlour, Thula and Thato began serving scoops of SOBAE in the streets of Maboneng at the popular Arts on Main. “We were chased away from the pavement by the police when we started selling until people in Maboneng became familiar with us and our product”- Thato. Beyond the market acceptance the entity had to navigate through the red tape often stated to impede on entrepreneurial activity. They faced the challenge of ensuring compliance with a series of permits (all at a cost) or risk getting fined. Being entrepreneurs demanded that we make serious lifestyle changes. – Thula. To ensure adequate investment into the business for start up capital, the duo required to make some sacrifices for example: choosing to cycle instead of taking the bus to work and for social engagements. The small sacrifice, however, has gone a long way. 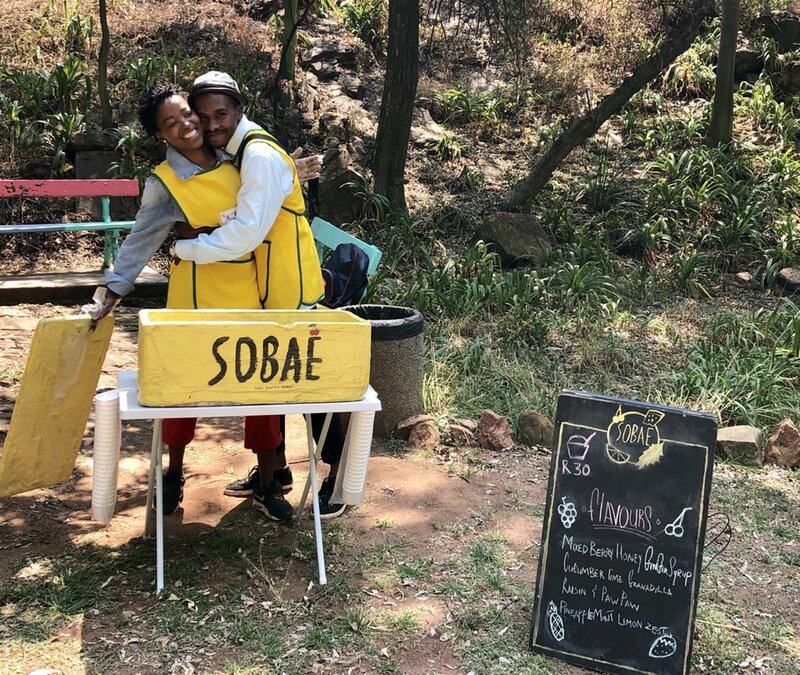 Owing to an unshakable positive spirit coupled with hard work, the SOBAE brand has gained popularity both on social media and with Jobug’s vibrant community. You can find SOBAE every Thursday – Sunday between 1 and 5 pm at 204 Fox Street, Maboneng.